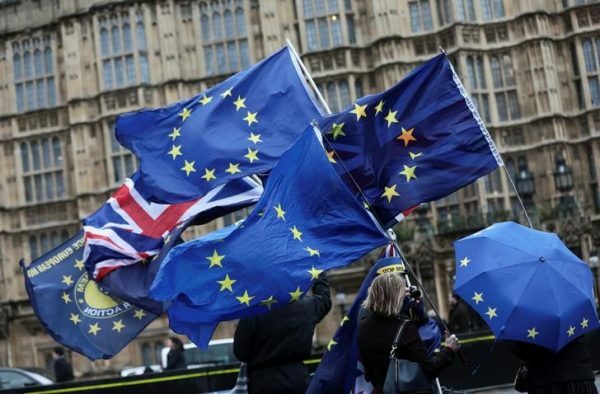 STRASBOURG—Leaders of the European Union institutions weighed into a new British debate on whether to hold a second referendum on Brexit by saying on Tuesday Jan. 16 that Britons would be welcome to stay in the EU. Prime Minister Theresa May and her main opponent Jeremy Corbyn have ruled out giving voters a chance to approve whatever withdrawal treaty is agreed with Brussels before Britain leaves the bloc in March 2019. However, campaigners on both sides of the debate have raised the issue again this month. 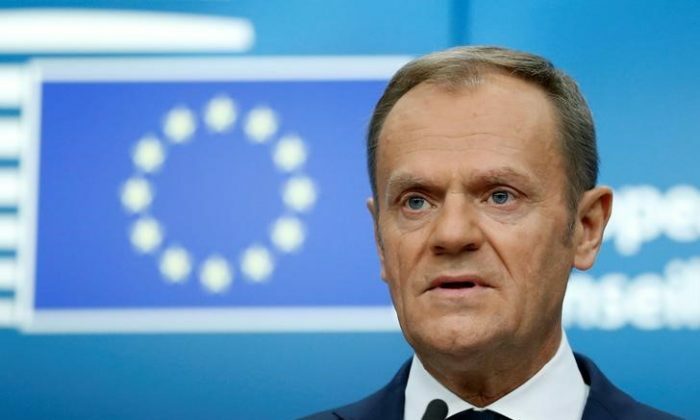 “Brexit will become a reality, with all its negative consequences, in March next year, unless there is a change of heart among our British friends,” the former Polish premier said. “We here on the continent haven’t had a change of heart. Constitutional lawyers are divided on whether Britain can withdraw its two-year notice to quit but the exchanges underline a view in Brussels that an EU political consensus could be found to avert Brexit—even if most are now resigned to Britain leaving and believe the Union will weather the disruption. May’s spokesman repeated her determination to follow through on Brexit, even though she campaigned against it in 2016. In the debate, senior EU lawmakers called on her to offer more clarity on what she wants. Some mocked her, with the top German conservative skewering her announcement that she would restore Britain’s old blue passports after Brexit as a “scam”. Member states are discussing among themselves a new set of negotiating instructions for Juncker’s negotiator Michel Barnier ahead of the expected launch of talks on a post-Brexit transition period during which much of the status quo would be maintained. Diplomats say those discussions reveal a firm line among the 27 on holding Britain to commitments to accepting continued obligations to the Union during the transition, including accepting continued free immigration from the EU and being subject to EU courts—key complaints of Brexit supporters. Senior lawmakers in the Strasbourg chamber were generally scathing about May’s plans for Brexit. The leader of the center-right group, an ally of German Chancellor Angela Merkel, mocked her announcement that British passports would go back to being blue after Brexit as opposed to the red used by most EU states. “The whole story is a scam,” said Manfred Weber, denouncing a “lack of leadership” and of “honesty” in portraying the move on passport color as a restoration of sovereignty. No EU law binds member states to red passports, and fellow member Croatia uses blue ones. Guy Verhofstadt, the chamber’s Brexit coordinator, called the passport saga “hilarious” and also derided May and her ministers for claiming credit for new laws curbing plastic bag use and credit card fees, when these were in fact EU legislation. For the UK Independence Party, which campaigned for Brexit, David Coburn accused Barnier of trying to “destroy Britain” as a center for financial services by rejecting London’s efforts to retain existing access to EU financial markets.